Welcome to my blog. My name is John Gottberg Anderson. I am a full-time freelance writer and photographer who makes his home in beautiful Bend, Oregon. 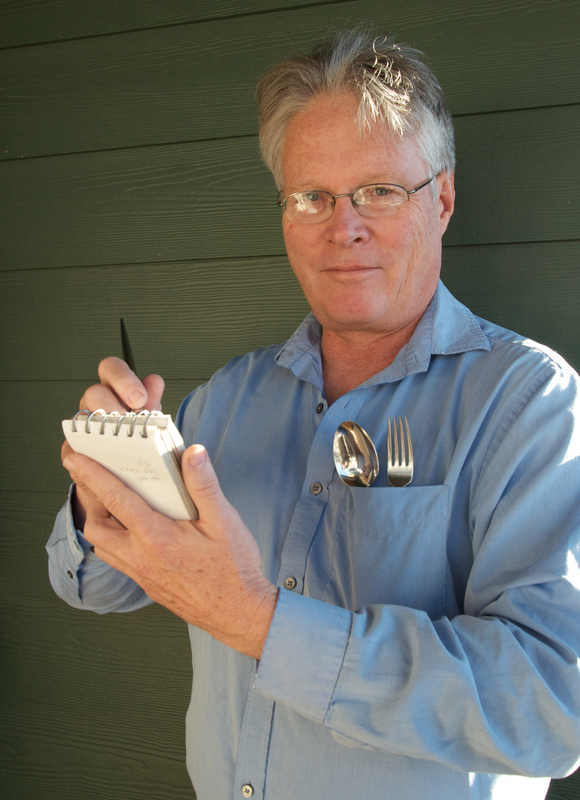 A member of the North American Travel Journalists Association, I write primarily on travel and dining subjects, often merely signing myself as John Gottberg. I was formerly an editor for the Los Angeles Times, the Paris-based Michelin Guides and the Singapore-based Insight Guides. I am the author or co-author of 20 books, as well as articles in more than 50 magazines around the world. I have been a cook and a bartender, a carpenter, a ski instructor, a musician, a hotel porter and a door-to-door salesman, but I always return to my true calling, the printed (electronically or otherwise) word. Please read Bend’s Bulletin newspaper (www.bendbulletin.com) to see my travel stories (April 2, the music scene in Nashville; March 19, a Baker City, Ore., ranch vacation; March 12, a tribute to Japanese-American internment on Bainbridge Island, Wash.; Feb. 19, Cirque du Soleil in Las Vegas) most Sundays. See my weekly reviews of regional restaurants (April 6, Victorian Café; March 30, One Street Down; March 23, Greg’s Grill) in the newspaper’s “GO!” section every Thursday, and my wine column in GO! every other Thursday. You’ll also find my stories in the Eugene Register-Guard (www.registerguard.com) on many Sundays (April 2, a Columbia River cruise; Feb. 26, getting married at Hawaii’s Aulani Resort). And check out my piece on do-it-yourself brewing in Bend in April’s Alaska Beyond airline magazine. Recent stories are posted on this Facebook site: https://www.facebook.com/johngottbergtravelanddining … thanks for reading! I simply have to correct something you wrote in your very interesting article. You said the name of the town was HO-kee-um. I was born and raised in Hoquiam, and, unless someone has changed the pronunciation since I moved away, it was never been called HO-kee-um. The correct pronunciation is HO-kwee-um. The ‘q’ is pronounced: second syllable is KWEE, not KEE. I picked up this article on the internet and enjoyed it so much. But, as a native Hoquiamite I cannot let this go (although I tried because finding an email address required a major search). My conscience would bother me the rest of my life if I’d seen this and ignored it. I don’t suspect many people mispronounce Bend so I understand that you might not realize the stab in your heart when the name of your hometown is pronounced incorrectly. It is quite painful. I haven’t lived in Hoquiam for 50 years. but, once a Hoquiamite, always a Hoquiamite. I would be horribly remiss to not call your attention to this grave error. I hope you will accept my correction in the spirit with which it it given. And, I have now, happily, cleared my conscience and done my duty on behalf of my illustrious birthplace. might you be interested in teaching our magazine industries class at UO? Congrats! You’ve made our “101 Most Awesome Adventure & Travel Twitterers You Should Be Following” list! We worked hard to compile a list of awesome people like you who embody passion, adventure, and share their best traveling tips via Twitter. Travel wide and live dangerously! I found you. Very interesting read. Hope to hear more from you. I hope this email finds you doing well. I saw Barb and Patricia on Friday at Allyson’s Kitchen and I am trying to get in touch with Patricia to schedule her husband’s birthday event this week! I thought I had written her correct email address, but I did not! I have pdellruth@bendbroadband.com Can you please email Patricia or forward her contact information to me ASAP? Nice article about Gene – glad to hear his restaurant is doing well. I wanted to correct you on one point in your article. He was indeed our original chef at Desert Wind, at a restaurant called La Mesa. He did not, however, help with the creation of Mojave by Picazo, which is a joint venture between the winery and Chef Frank Magana of Picazo 7Seventeen. Thank you so much for mentioning our film, Clara’s Carma, in your blog. We are very excited to come to Bend and screen at the festival. By the way, we’ll be screening on Friday, October 8th, at 10:00am and would be great to meet you. We’ve been putting together a press kit and collecting reviews on our film, and we’d love to send you a private link to screen the film in advance and perhaps write a short review. Let us know… hope to see you in Bend! I’m looking forward to meeting you in Bend, and I would love to screen the film ahead of time. Let’s get together, for coffee or cocktails, after you arrive (on Thursday?). I’m on the board of directors of BendFilm, so I will definitely be around. Cell phone: 541-948-5381. I met you in Seattle,and You wisely guided me to avoid a mud slide while travelling to Santa Barbara from L.A .
We have some of the Best Restaurants and Spas in the world. I have recently started Nia Dancing. I understand there is a big ‘ Nia” following in Portland. Perhaps you could venture down (near) under next January to review (or invent) a recipe for the best Green Lipped Mussells in the world. I am talking about The Marlborough Sounds, New Zealand. I know the spot to take you and perhaps you could review my gig too! We live in Bend six months each year. My Father was born in Ashland in 1916 and our family still owns land nearby. While I was sad to hear about your son, I wanted to tell you how interesting it was to read about the city we used to visit every summer when growing up in Lincoln. If you would like to share a cup of coffee or a beer or a round of golf at Widgi Creek, let me know. I recently read your article in the Horizon airlines magazine about DIY brewing in Bend, Oregon. You wrote that the owner, Lambe, “is a linguist, not a scientist, so [you] figured [the process of making your own brew] couldn’t be that complicated.” I’m a future linguist (if all goes according to plan), and I’ve found that linguistics is one of the least understood fields. Being a linguist doesn’t mean you’re multi-lingual, that you’re a polyglot, nor that you are the keeper of “proper” grammar. It means you study the science of language. Here is a line from the book I was reading right after reading your article on the plane: “Linguistics and physics share the same characteristics that all empirical sciences share…” (–Andrea Moro in “Impossible Languages”). Just thought I’d share. Thanks! Thanks for your note, Rhea. In fact, Lambe did a degree in Japanese language and worked in Japan for several years. My brother, by the way, did a bachelor’s in mathematics, a PhD in linguistics, has taught linguistics and language in Japan for his adult life, and says that nothing could have prepared him for a career in linguistics better than first learning math. Best of luck to you!